The lemon aoli takes this home lunch to the next level. It is tart and perfect with the salmon. 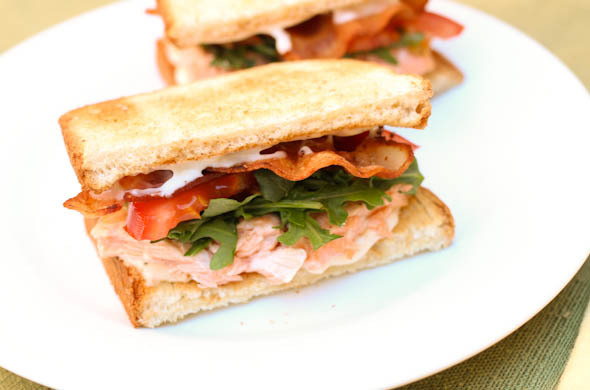 It perked up my leftover salmon and brought brightness with the salty bacon, peppery arugula, and juicy tomato. I wanted to make a fun lunch to revive some leftover salmon that I overcooked a bit. 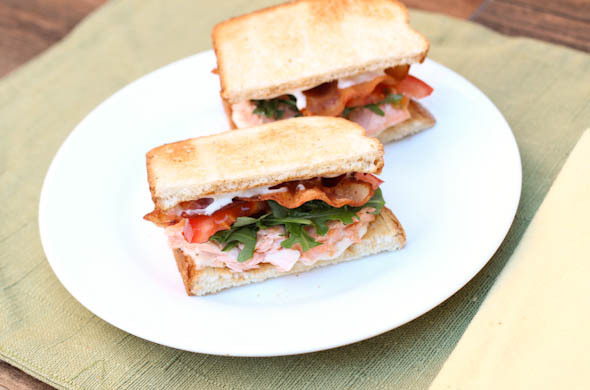 It was actually better in this salmon BLT than it was the night before! Pan fry the bacon and remove from the grease. Turn off the pan from the bacon and gently warm the salmon in the bacon drippings. Mix together the mayo, lemon juice, lemon zest, salt and pepper. 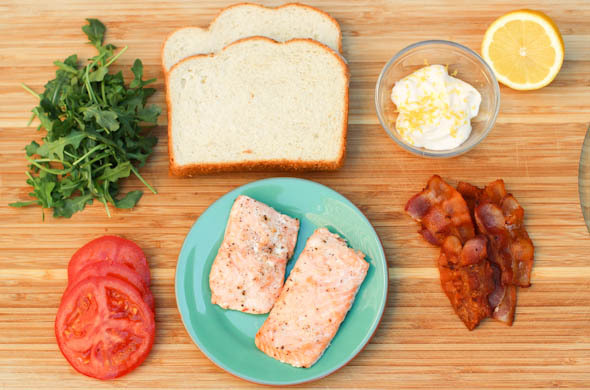 Assemble the sandwich with lemon aoli on each slice of toast, then salmon forked apart into chunks, then arugula, then bacon, and the remaining bread. This was seriously better than the salmon was the night before. Condiments can make such a difference. An extra special BLT is a great dinner too. Warming the salmon a bit in bacon drippings is definitely a good choice.